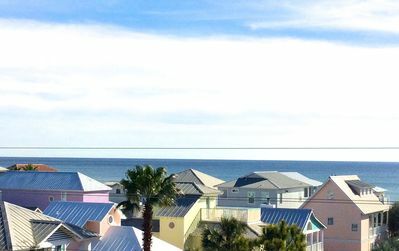 We are so blessed to report that all is well on 30A in South Walton. Our hearts and prayers go out to all those affected by Hurricane Michael in PCB. 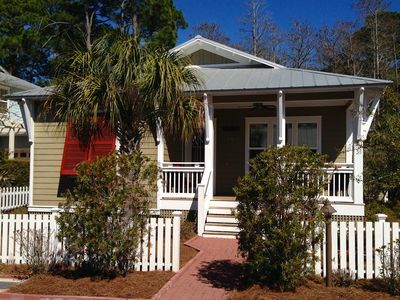 We love our gulf view home located in the heart of prestigious Santa Rosa Beach, Florida south of Scenic 30a. 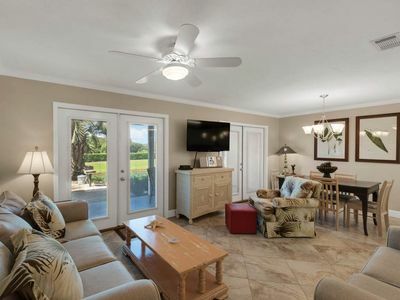 Enjoy a relaxing and memorable family vacation in our two bedroom, two bathroom house with private, heated pool. 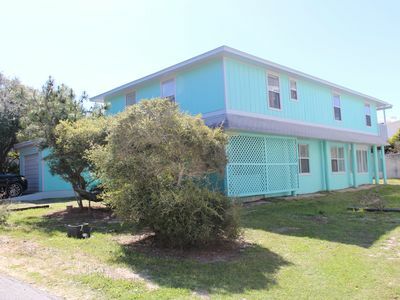 The house sleeps 6 and is a short two minute walk from the driveway to the dune walk over. 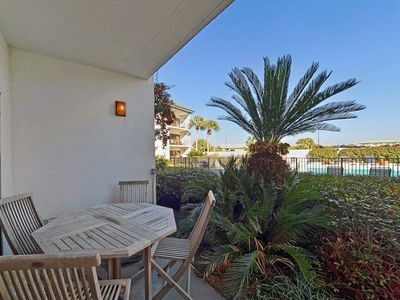 Unless you are booking a beach front community, you cannot get closer to the Gulf! We are adjacent to beautiful Draper Lake making this a perfect getaway for nature lovers. Our home away from home offers a great location, peaceful surroundings, scenic beauty and is close to all amenities. 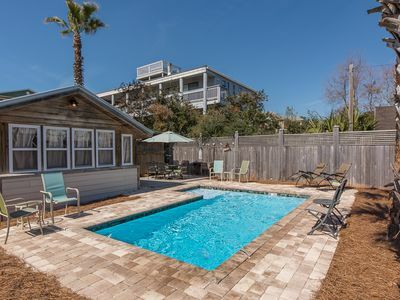 Santa Rosa Beach is a quiet community nestled beside the Gulf of Mexico. 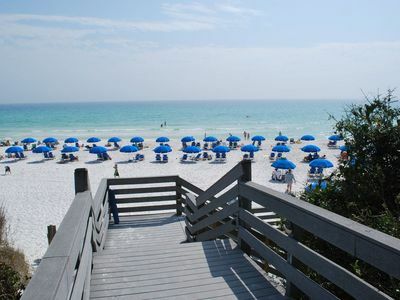 Located approximately 15 miles east of Destin, Fl. 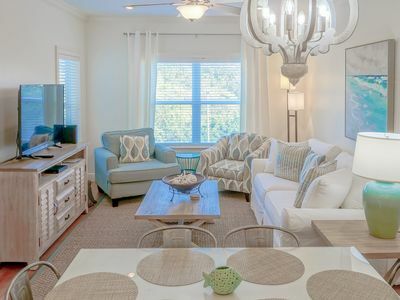 Our home offers easy access to shopping, restaurants, deep-sea fishing, family friendly activities, golf courses and airports. 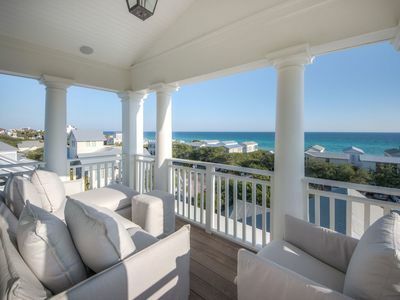 Seaside and Watercolor are 5 miles east of us with Rosemary Beach capping the far east end of the corridor. 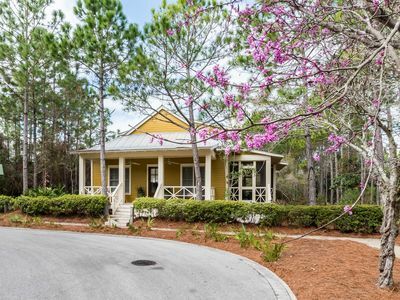 Natural beauty abounds along scenic 30-A with miles of walking and biking trails, nature preserves, wildlife, Dune Lakes, sugary white sandy beaches and crystal clear waters. Our cottage is fully furnished and equipped with all the comforts of home. Our wrap around deck is a wonderful place to hang out and unwind! 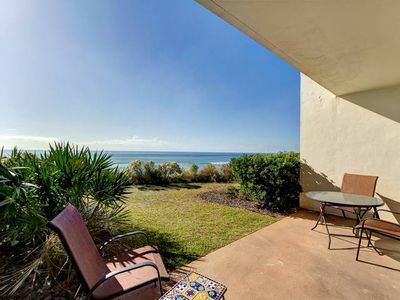 You will hear the surf from Gulf of Mexico as if you are right at the beach! Like to grill? You will enjoy our Broilmaster Premium Grill for those family cook outs. Hair dryers, towels and all linens are provided. We have a large corner 1/3 acre lot which includes a lush lawn with irrigation system, natural vegetation and a sparkling 13' by 26' private heated pool. 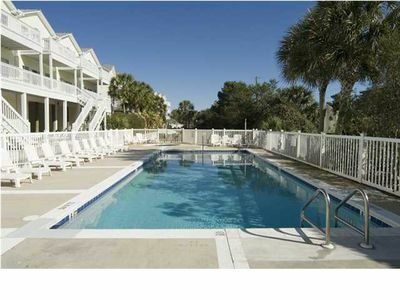 Outdoor furniture, floats and pool toys are included; the pool is not shared with any other houses. Pool towels are included. 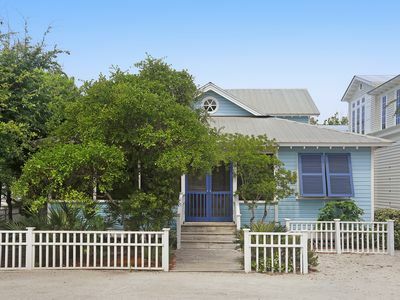 Our beach house is on the northeast corner of Gulfview Heights Street and Betty Street, facing the Gulf. It is a short two minute walk form the house to the Gulfview Heights beach access (see aerial photo), no traffic or busy roads to cross. Restrooms, outdoor showers, covered picnic pavilion and BBQ grill are available for your convenience. We include 6 light-weight aluminum beach chairs and a beach umbrella for your use. We are happy to arrange beach service on request. Draper Lake is located at the end of Betty St. and offers a unique experience with its diverse ecosystem. Bring your bikes or rent them nearby and explore the 20-mile-long bike/walking trail, nature preserves and 11 dune lakes. Access to the trail is just steps from the house and runs the entire length of Scenic 30-A. Several shops and restaurants are within walking or biking distance. Goatfeathers Restaurant & Seafood Market is the oldest establishment along the corridor a true historic landmark! The shops, restaurants and seasonal events of Gulf Place are just 1/4 mile to the west and accessible via the bike/walking trail. 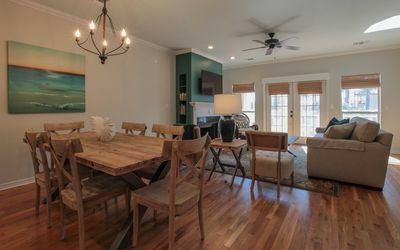 There are several upscale and popular beach communities to explore along Scenic 30-A including Seaside (6 miles) Dune Allen, Gulf Place, Blue Mountain Beach, Grayton Beach, Watercolor, Seagrove Beach, Seacrest, and Rosemary Beach. 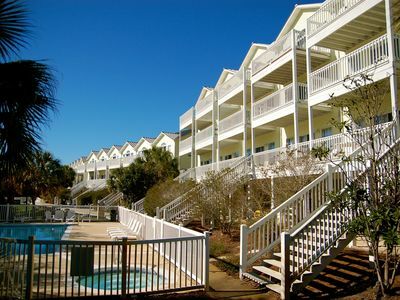 The Santa Rosa Golf and Beach Club is located less than a mile from Blue Parrot Cottage. 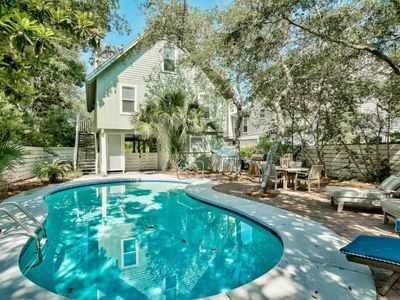 Unique End Unit with Three Bedrooms-Free Beach Service! 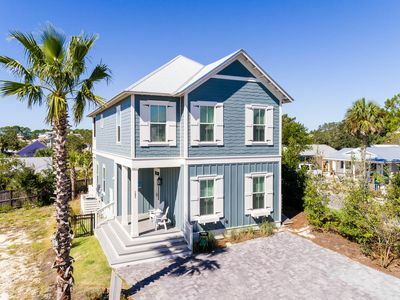 Blue Dune: Brand New Beach Home with Beautiful Private Pool! Golf Cart! Lots of privacy & on a quiet street! Bike to Dining & Beach! 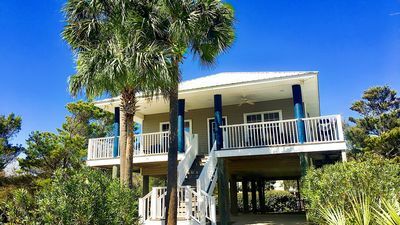 Dolphin Tales: 4BR Townhouse with Gulfviews, Pools, Tennis, Wi-Fi - Sleeps 15! Recently REMODELED interior! Private Beach Access! 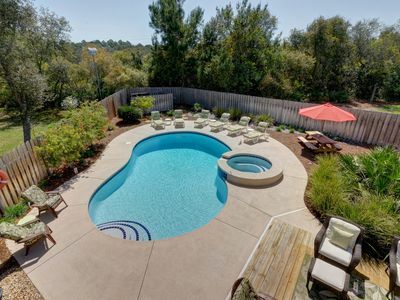 Private Home in Seagrove, Community Pool, 3 Bikes! 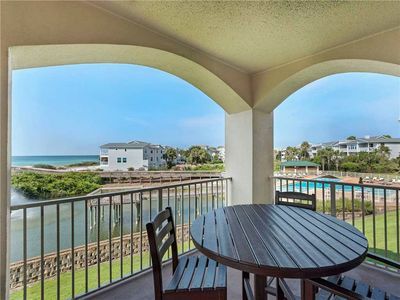 Gorgeous Gulf Front Condo ~ Ground Floor ~ Amazing View of the Gulf! 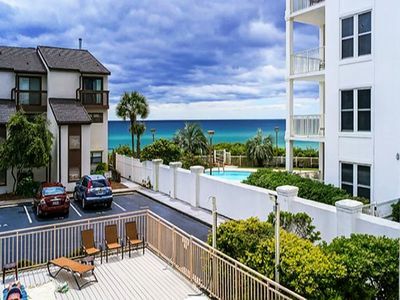 Beautiful & Cozy Gulf Side Condo ~ Located in Seagrove Beach! Gulf Place Caribbean 103 - Your spring NW Florida vacay awaits. Rare Availability in May, BEAUTIFUL weather!